Learning doesn’t have to be boring. 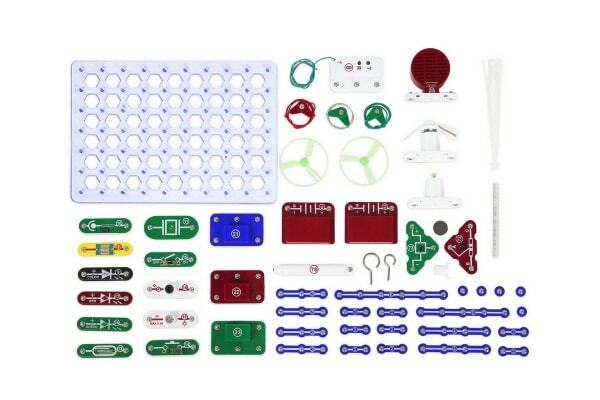 This unique educational kit will help your child develop a passion for science – not to mention a DIY spirit! Hands-on introduction to electronics – make real working circuits and devices! Endless possibilities and hours of fun! 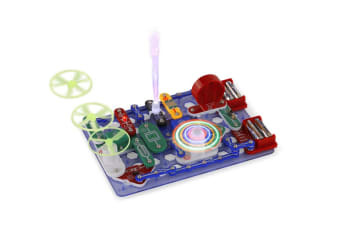 The Learn & Play Electronic Circuit Kit isn’t your average toy. It is a fantastic collection of electronic building blocks that will truly get your child thinking creatively, with dozens and dozens of pieces that will have your child spinning unique creations for hours on end. Whether you have a budding scientist around the house or a child who’s new to the world of science, the Learn & Play Electronic Circuit Kit gives them their very own workshop. With the ability to tune in to numerous FM radio stations as well, the kit will provide an immersive world of imagination. 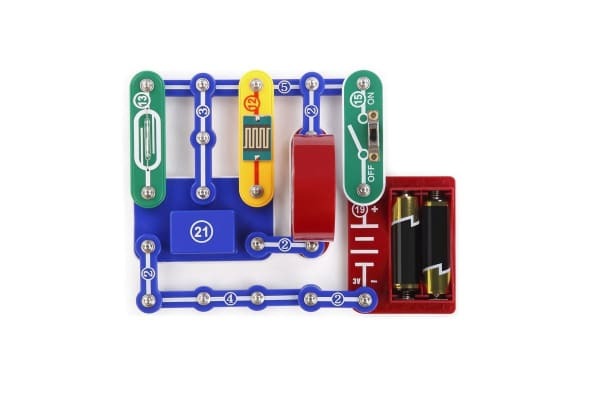 Children simply snap together the parts with no extra tools needed to create one of the many fantastic circuit designs that can be seen in the detailed user manual. Some circuits cause lights to be switched on while others make blades fly into the air… And that’s just the tip of the iceberg!